Miles Byrne was born in Monaseed in Co. Wexford in Ireland in 1780. 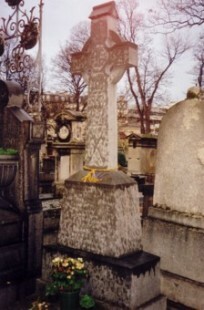 He died in Paris in 1862. Miles Byrne of Monaseed was a hero of the 1798 Rebellion in Ireland. Having led a charge at the battle of Vinegar Hill in Wexford where he fought under the famous Michael Dwyer. he escaped to France afther the ill-fated 1803 rebellion having fought as one of Robert Emmet’s most trusted lietenants. In France he found a vessal for his beliefs in the rights and equality of his fellow man in the person of Napoleon Bonaparte. Napoleon’s humanitarian philosophy had been a driving force behind movement of The United Irishmen and so France was the most likely place of exile for Miles and his fellow patriots escaping the English forces after the 1798 rebellion. Miles Byrne had risin to the rank of Captain in Napoleon’s famous Irish Regiment when it was disbanded in 1815. After Napoleon’s downfall in 1815. He remain in the French army on half pay until 1828 and served on the staff during the Greek campaign. He was promoted to chef de betallion and transfered to the 56th Regiment. Copyright © 2011-2019 Napoleon Ireland. All rights reserved.